The widespread use of cloth masks by healthcare workers may actually put them at increased risk of respiratory illness and viral infections and their global use should be discouraged, according to a UNSW study. The results of the first randomized clinical trial to study the efficacy of cloth masks were published last week in the journal BMJ Open. The trial saw 1607 hospital healthcare workers across 14 hospitals in the Vietnamese capital, Hanoi, split into three groups: those wearing medical masks, those wearing cloth masks and a control group based on usual practice, which included mask wearing. Workers used the mask on every shift for four consecutive weeks. The study found respiratory infection was much higher among healthcare workers wearing cloth masks, with the penetration of cloth masks by particles at almost 97% compared to medical masks with 44%. Professor Raina MacIntyre, lead study author and head of UNSW’s School of Public Health and Community Medicine, said the results of the study caution against the use of cloth masks. “Masks are worn to protect from infection during pandemics and outbreaks, especially when there are no drugs or vaccines available for protection,” Professor MacIntyre said. 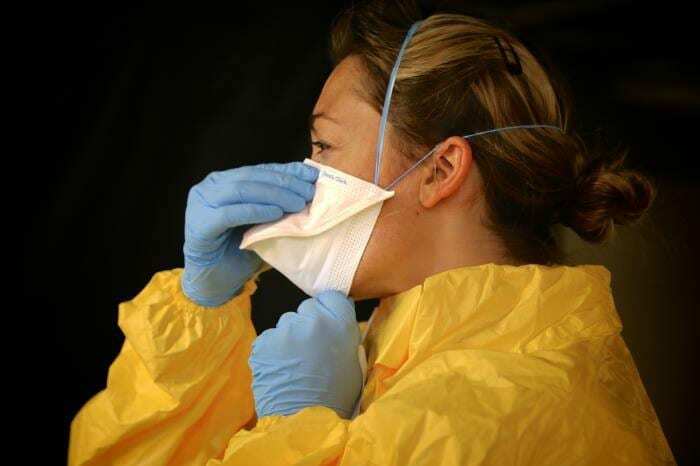 “Masks are especially important for frontline doctors and nurses, as their protection from infection is key to maintaining the ability to tackle a pandemic effectively. Cloth masks remain widely used globally because they are a cheaper option especially in areas where there are shortages of protective equipment, including in Asian countries, which have historically been affected by emerging infectious diseases, as well as in West Africa, which was the epicentre of the recent Ebola epidemic. The authors speculate that the cloth masks’ moisture retention, their reuse and poor filtration may explain the increased risk of infection. Professor MacIntyre, who has completed the largest body of clincial trial research on respiratory protection in health workers internationally, said emerging infectious diseases are not constrained within geographical borders. “Effective controls of outbreaks and pandemics at the origin impacts us directly, so it is important for global disease control that the use of cloth masks be discouraged in high-risk situations,” she said. “Despite more than half the world using cloth masks, global disease control guidelines, including those from the World Health Organisation, fail to clearly specify conditions of their use. Professor MacIntyre said the study’s results pointed to the effectiveness of medical masks, in addition to the harm caused by cloth masks. The trial was a collaboration between researchers in Australia and the National Institute for Hygiene and Epidemiology in Vietnam and was funded by an Australian Research Council Linkage Grant. A separate expert review by MacIntyre published in the British Medical Journal earlier this month found that the lack of research on facemasks and respirators is reflected in varied and sometimes conflicting global policies and guidelines. Read the study: A cluster randomised trial of cloth masks compared with medical masks in healthcare workers.